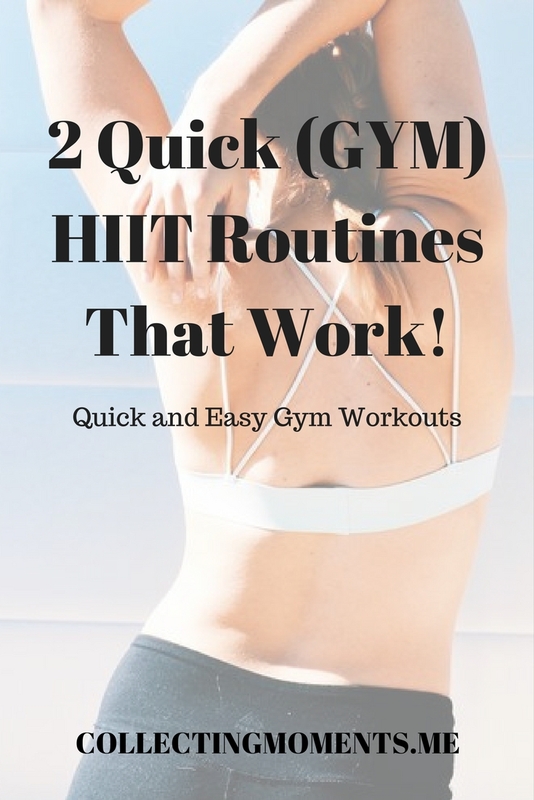 Two Quick (GYM) HIIT routines that work! Hello loves! As many of you know, Kayla Itsine’s BBG routines offer the option of incorporating optional HIIT sessions to your weekly workouts. Now, I have been trying to incorporate at least two HIITs to my weekly routines, but sometimes I just don’t get to them or try a new workout instead (i.e spinning spinning spinning! Lol I’m a newbie and #Obsessed!) However, I did realize that it’s SO INCREDIBLY HELPFUL to have a couple of go-to HIIT workouts so when you get some spare time in your day, do them quickly and get them over with. Anyways, the following 2 HIIT routines are the ones that I’ve been doing right after BBG at the gym and have been working wonders for me. ***As you can see, I don’t have a defined intensity for each rep, instead depending on how I feel I up or slow down the intensity. So again, just listen to your body! ***I use the max incline on the treadmill (15) but if this is too difficult start with a 4-8 incline and slowly add more as you build endurance through your HIIT sessions! Well, there you have it! My two quick HIIT Gym routines! Do you incorporate HIIT to your BBG routines? If so, which exercises do you do? Would love to hear your thoughts!